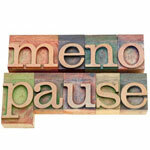 There's more troubling news about hormone therapy for menopause symptoms: Lung cancer seems more likely to prove fatal in women who are taking estrogen-progestin pills, a study suggests. Hormone users who developed lung cancer were 60 percent more likely to die from the disease as women who weren't taking hormones, according to results reported Saturday. The new findings mean that smokers should stop taking hormones, and those who have not yet started hormones should give it careful thought, said Dr. Rowan Chlebowski of Harbor-UCLA Medical Center in Los Angeles. He led the analysis and presented results at a meeting of the oncology society in Florida. It's the latest finding from the Women's Health Initiative, a federal study that gave 16,608 women either Prempro or dummy pills. The study was stopped in 2002 when researchers saw more breast cancers in those on Prempro, the estrogen-progestin pill made by Wyeth Pharmaceuticals. They continue to follow what happens to women in the study. The new analysis looked at non-small-cell lung cancer, by far the most common type. It found no big difference in the number of lung cancers that developed in hormone users after five years on the pills and more than two years of followup. However lung cancer proved fatal in 46 percent of hormone users who developed it versus 27 percent of those given dummy pills. "It's another piece of evidence to suggest that hormone replacement therapy should be used with great caution," said Dr. Richard Schilsky, a cancer specialist at the University of Chicago and president of the American Society of Clinical Oncology. Women who take hormones already are advised to use the lowest dose for the shortest time possible, doctors said. "Women almost certainly shouldn't be using combined hormone therapy and tobacco at the same time," Chlebowski said. Still, there have been only 106 lung cancer deaths in the study so far - too few to make sweeping conclusions about risk, said Dr. Len Lichtenfeld of the American Cancer Society. And most women no longer use hormones the way they used to, said Wyeth's Dr. Joseph Camardo. In the federal study, women started on them at an average age of 63 and took them for more than five years. Now, the typical age of starting is 51 to 54, and average use is two years, Camardo said. The same risks may not apply with the new patterns of use, he said. Researchers have not yet analyzed lung cancer risk in another part of the federal study that tested estrogen alone without progestin. Lung cancer is the world's top cancer killer. In the United States, there were more than 215,000 new cases and nearly 162,000 deaths from it last year.